Therapeutic models of IH are aimed at increasing motor function following spinal cord injury (SCI) or promoting neurogenesis to offset cognitive decline. 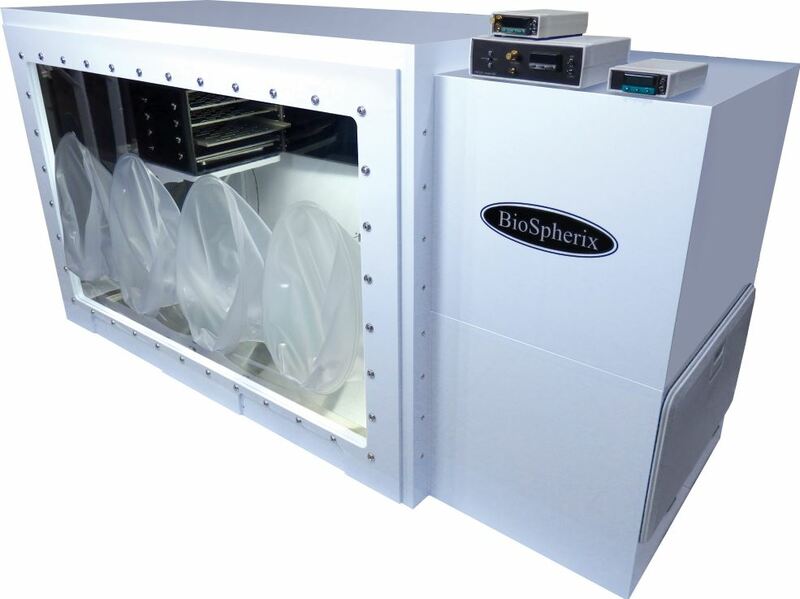 In cell culture models of intermittent hypoxia, the OxyCycler C42 & C-Chamber package adds individually programmed hypoxia profiles (O2 and CO2) to any existing CO2 incubator. 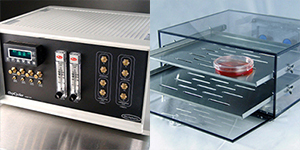 Configure the OxyCycler C42 & C-Chamber with more than one incubator subchamber (up to 2) to carry out separate IH experiments at the same time. 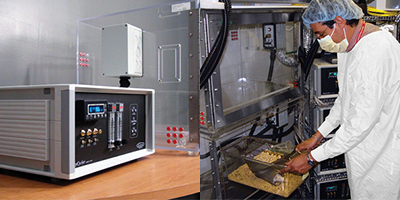 The Xvivo System Model X3 hypoxia workstation provides full-time control of hypoxia for in vitro IH studies. Configure the Xvivo System with multiple incubator chambers (up to 9) to carry out simultaneous but independent hypoxia profiles at the same time. Closed hypoxia hoods adjoin the incubator chambers permitting scientists to move cells in/out without disruption of hypoxic conditions. Researchers use OxyCycler A84XOV & A-Chamber to provide in vivo models of intermittent hypoxia. 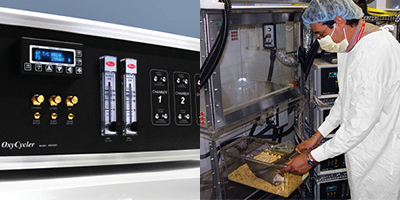 It provides independently controlled IH exposures in 1-4 chambers at the same time. Optional Monitor Pod for OxyCycler A84XOV & A-Chamber monitors and records environmental conditions inside chamber: parts per million levels of carbon dioxide (CO2 ppm), relative humidity (RH), temperature, and O2 levels at any location within the chamber. Maximize the speed of intermittent hypoxia models with Quick & Quiet Profiler accessory kit for either OxyCycler A84XOV & A-Chamber or OxyCycler A41OV & A-Chamber. Hypoxia profiling is made more rapid while also maintaining sound levels (dB) within acceptable ranges.